During the 1980s in Los Angeles, a group of wealth graduates of the Harvard School for boys establish an investment club. When the funds run out, the members resort to kidnapping and murder. 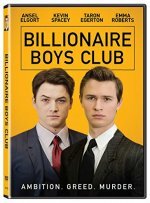 Billionaire Boys Club release date was Friday, August 17, 2018. This was a Limited in theaters release. 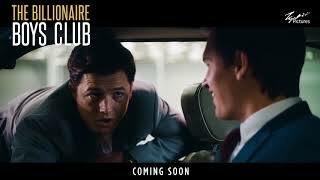 Ansel Elgort will play financial genius Joe Hunt and Taron Egerton will portray tennis pro Dean Karny. Judd Nelson will portray Ryan Hunt, the father of Elgort’s Joe Hunt. He originally played Joe Hunt in the 1987 TV mini-series.